Surprise your mum this mothers day with this fantastic wall sticker. 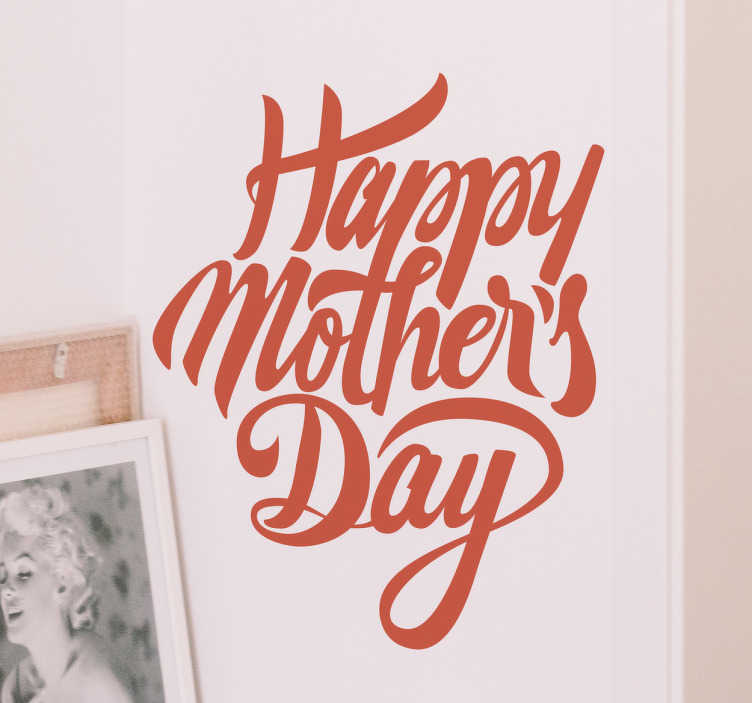 The text wall sticker consists of the message "happy mothers day" written in an elegant font. Let your mum know how much she means to you with this unique gift. Personalise the colour of the text to your mums favourite colour. Or add your mothers name to the sticker. Just send us an email at info@tenstickers.com and our team of designers will create the sticker for you.